Welcome to week three of the New Year. Your basic gym membership may seem less appealing by the day; making it harder to keep your resolutions, but we’re here to help! This is Syracuse! We want you to Do Your Thing and if fitness is your Thing, then we know all the places where you can break away from your average treadmill, weight room and… repeat. If you’re finding yourself face-to-face with sweets and treats (Syracuse definitely has a lot of them) and not the gym, then let us be your inspiration. 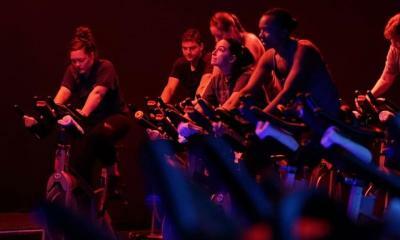 Pick up a day pass or membership and get moving at our pick of fun, innovative workout spots! Let’s face it, its cold out. Winter has never stopped Syracusans (in fact we kind of thrive in it) but winter is the perfect go to excuse to stay inside and avoid the gym. 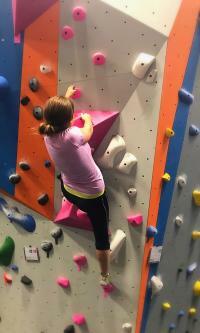 Central Rock Gym offers you a workout that’ll have you braving snowstorms in excitement to get there. With over 16,000 sq. ft of climbing available, you will fall in love with this refreshing approach to fitness. Staff will teach you all of the ropes (quite literally) and you will be safely belaying and climbing in no time. Rentals are available so no need to stress, as you can be ready to get started as soon as you sign-up. Central Rock Gym is also home to a fitness center and yoga studio so you don’t always have to climb if you just want to get a quick workout in. Day passes and memberships are available at mixed rates, as well as a climbing gear shop if you decide to purchase your own gear. Make sure to try out this workout if you want to cross off a bucket list item while getting in shape. Our pick: Sign up for the belaytionship program to always have a climbing buddy on deck. They’ll match you up with someone looking for a partner if you don’t have one! So many times people get “bored” of their gym routine. Well, what about a gym that is so high energy that you stay consistently engaged and feel amazing after? This is exactly what Urban Life Athletics offers. For example, their spin classes are one-of-a-kind as they combine sprints, climbs and team-based intervals with incredible music and dynamic instructors. Their high-intensity training (HIT) classes will leave goers feeling energized in their daily lives as their specialized instruction will helps burn calories and promotes lean muscle mass. Plus they’ll work with you at your level and help you achieve new personal bests and records. Even the building itself is exciting, as Urban Life Athletics is located in a repurposed industrial warehouse with dimly lit ambience and graffiti laden walls. Give this Syracuse cross-fit gym a chance in 2018. You won’t be disappointed. Our Pick: Full Body Cardio Blast with Amber – Case of the Mondays affecting your workout? Get reenergized for the rest of the week with this full body workout. Looking to turn your resolutions into a lifestyle? 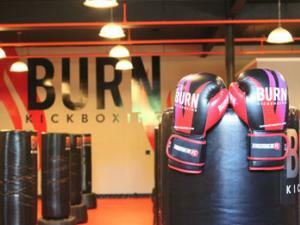 Burn Kickboxing might be the place for you. They’ll work with you to get a high-intensity workout that combines kickboxing with calisthenics and aerobics. They’re eager to help you reach your goals in an innovative way and help you every step of the way. Their team mentality is also evident in their nutrition coaching and counseling as they want you to become your best and healthiest you! Let some stress out and sweat with Burn and get the body you deserve in 2018. Our Pick: Resolutions aren’t just for the weekdays (but wouldn’t it be great if that late night pizza run didn’t count?). Hit the 8am kickboxing class on Saturday mornings and start your weekend on your healthiest foot. Want a vibrant boutique fitness studio that offers it all? FHIIT Barre and Bodyworks is a fresh, fun and versatile Downtown fitness class haven. With offerings of half an hour to hour-long classes, working out doesn’t have to be a chore you build your day around. You also have the opportunity to switch up your typical routine as they offer a variety of cardio high-intensity interval training (HIIT), yoga, total body resistance exercises (TRX), and barre classes. Their knowledgeable staff will leave you feeling challenged, energized and empowered- a perfect way to start your year off right! Our Pick: Try the FHIIT Mix class which combines all three formats of TRX, Cardio, and Barre for a body burn that will keep you coming back for more. Bonus: Want to relax and retreat someplace wonderful while living your best fitness life? Visitors, staycationers and workout junkies alike can take advantage of the fitness amenities at the Marriott Syracuse Downtown and the Mirbeau Inn & Spa Skaneateles. The Marriott Syracuse Downtown’s 24-hour fitness center is located on the hotel’s top floor and is stocked with the latest cardiovascular equipment and free weights. The hotel may be beautifully historic but their fitness center offers raved about futuristic interactive cardio, yoga and spin classes from virtual instructors! If live instructed classes are your thing then head to the Mirbeau Inn & Spa! Mirbeau offers a beautiful fitness facility with certified personal trainers and nutritionists. Take part in yoga, cardio or even meditation classes to make a weekend out of wellness. These fun studios and fitness facilities have us wishing there were more hours in a day to workout. Turn your resolutions into a new healthier lifestyle in Syracuse (it’s not always easy in a foodie paradise with great nightlife). 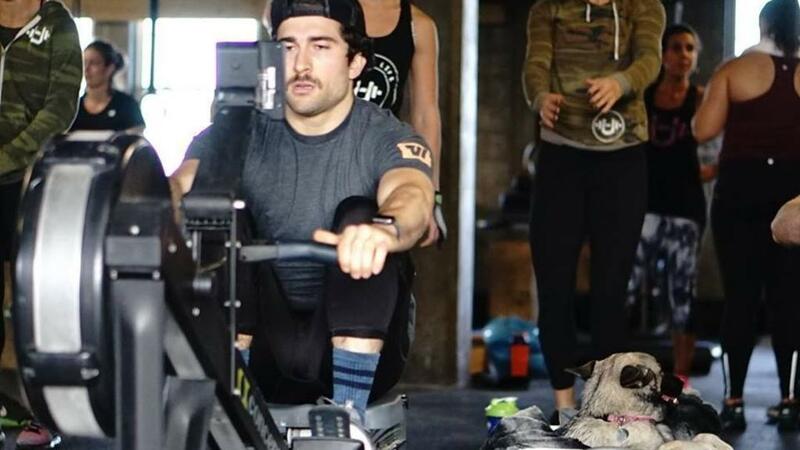 We want you to do your thing whether it’s Crossfit or eating box of Glazed and Confused donuts. Life is all about balance and if it’s your thing then hop on a fitness regimen as exciting and unique as Syracuse.